ACF Fiorentina, commonly referred to as Fiorentina [fjorenˈtiːna], is an Italian professional football club based in Florence, Tuscany. Founded by a merger in August 1926, and refounded in August 2002 following bankruptcy, Fiorentina have played at the top level of Italian football for the majority of their existence; only four clubs have played in more Serie A seasons. Fiorentina is one of the fourteen European teams that played the finals in all three major continental competitions: the Champions League (1956–1957, the first Italian team to reach the final in the top continental competition), the UEFA Cup Winners (1960–1961 and 1961–1962) and the UEFA Cup (1989–1990). Since 1931, the club have played at the Stadio Artemio Franchi, which currently has a capacity of 43,147. The stadium has used several names over the years and has undergone several renovations. Fiorentina are known widely by the nickname Viola, a reference to their distinctive purple colours. After a rough start and three seasons in lower leagues, Fiorentina reached the Serie A in 1931. That same year saw the opening of the new stadium, originally named after Giovanni Berta, a prominent fascist, but now known as Stadio Artemio Franchi. At the time, the stadium was a masterpiece of engineering, and its inauguration was monumental. To be able to compete with the best teams in Italy, Fiorentina strengthened their team with some new players, notably the Uruguayan Pedro Petrone, nicknamed el Artillero. Despite enjoying a good season and finishing in fourth place, Fiorentina were relegated the following year, although they would return quickly to Serie A. 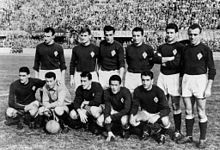 In 1941, they won their first Coppa Italia, but the team were unable to build on their success during the 1940s because of World War II and other troubles. The club lost fan favourite Stevan Jovetić during the middle of 2013, selling him to English Premier League club Manchester City for a €30 million transfer fee. They also sold Adem Ljajić to Roma and Alessio Cerci to Torino, using the funds to bring in Mario Gómez, Josip Iličić and Ante Rebić, among others. During the season, Fiorentina topped their Europa League group, moving on to the round of 32 to face Danish side Esbjerg fB, which Fiorentina defeated 4–2 on aggregate. In the following round of 16, however, they then lost to Italian rivals Juventus 2–1 on aggregate, ousting Fiorentina from the competition. At the end of the season, the team finished fourth again in the league, and also finishing the year as Coppa Italia runners-up after losing 3–1 to Napoli in the final. In 2014–15, during the 2015 winter transfer window, the team club sold star winger Juan Cuadrado to Chelsea for €30 million but were able to secure the loan of Mohamed Salah in exchange, who was a revelation in the second half of the season. Their 2014–15 Europa League campaign saw them progress to the semi-finals, where they were knocked-out by Spanish side Sevilla, the eventual champions. In the 2014–15 domestic season, Fiorentina once again finished fourth, thus qualifying for the 2015–16 Europa League. In June 2015, Vincenzo Montella was sacked as manager after the club grew impatient with the coaches inability to prove his commitment to the club, and was replaced by Paulo Sousa, who lasted until June 2017 and the appointment of Stefano Pioli. Club captain Davide Astori died suddenly at the age of 31 in March 2018. The club subsequently retired Astori's kit number, 13. On 9 April 2019, Pioli resigned as manager. The away kit has always been predominantly white, sometimes with purple and red elements, sometimes all-white. The shorts had been purple when the home kit was with white shorts. Fiorentina's third kit was first worn in the 1995–96 season and it was all-red with purple borders and two lilies on the shoulders. The red shirt has been the most worn 3rd shirt by Fiorentina, although they also wore rare yellow shirts ('97–'98, '99–'00 and '10–'11) and a sterling version, mostly in the Coppa Italia, in 2000–01. For the 2017–18 season and the first time in its history, the club used five kits during the season, composing of one home kit (all-purple) and four away kits, each one representing one historic quartiere of the city of Florence: all-blue (Santa Croce), all-white (Santo Spirito), all-green (San Giovanni) and all-red (Santa Maria Novella). A.C. Fiorentina S.p.A. was unable to register for 2002–03 Serie B due to financial difficulties, and then the sports title was transferred to a new company thanks to Article 52 of N.O.I.F., while the old company was liquidated. At that time the club was heavily relying on windfall profit from selling players, especially in pure player swap or cash plus player swap that potentially increased the cost by the increase in amortisation of player contracts (an intangible assets). For example, Marco Rossi joined Fiorentina for 17 billion lire in 2000, but at the same time Lorenzo Collacchioni moved to Salernitana for 1 billion lire, meaning the club had a player profit of 997 million lire and extra 1 billion lire to be amortised in 5-years. In 1999, Emiliano Bigica also swapped with Giuseppe Taglialatela, which the latter was valued for 10 billion lire. The operating income (excluding windfall profit from players trading) of 2000–01 season was minus 113,271,475,933 Italian lire (minus €58,499,835). It was only boosted by the sales of Francesco Toldo and Rui Costa in June 2001 (a profit of 134.883 billion lire; €69.661 million). However, it was alleged they were to transfer to Parma for a reported 140 million lire. 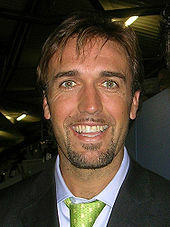 The two players eventually joined Inter Milan and A.C. Milan in 2001–02 financial year instead, for undisclosed fees. Failing to have financial support from the owner Vittorio Cecchi Gori, the club was forced to windup due to its huge imbalance in operating income. Since re-established in 2002, ACF Fiorentina S.p.A. are yet to self-sustain to keep the team in top division as well as in European competitions. In the 2005 financial year, which cover the first Serie A season, the club made a net loss of €9,159,356, followed by a net loss of €19,519,789. In 2006 (2005–06 Serie A and 2006–07 Serie A), Fiorentina heavily invested on players, meaning the amortisation of intangible asset (the player contract) had increased from €17.7 million to €24 million. However the club suffered from the 2006 Italian football scandal, which meant the club did not qualify for Europe. In 2007 Fiorentina almost broke-even, with a net loss of just €3,704,953. In the 2007 financial year the TV revenue increased after they qualified to the 2007–08 UEFA Cup. Despite qualifying to the 2008–09 UEFA Champions League, Fiorentina made a net loss of €9,179,484 in 2008 financial year after the increase in TV revenue was outweighed by the increase in wage. In the 2009 financial year, Fiorentina made a net profit of €4,442,803, largely due to the profit on selling players (€33,631,489 from players such as Felipe Melo, Giampaolo Pazzini and Zdravko Kuzmanović; increased from about €3.5 million in 2008). However it was also offset by the write-down of selling players (€6,062,545, from players such as Manuel da Costa, Arturo Lupoli and Davide Carcuro). After the club failed to qualify to Europe at the end of 2009–10 Serie A, as well as lack of player profit, Fiorentina turnover was decreased from €140,040,713 in 2009 to just €79,854,928, despite the wage bill also falling, la Viola still made a net loss of €9,604,353. In the 2011 financial year, the turnover slipped to €67,076,953, as the club's lack of capital gains from selling players and 2010 financial year still included the instalments from UEFA for participating 2009–10 UEFA Europa League. Furthermore, the gate income had dropped from €11,070,385 to €7,541,260. The wage bill did not fall much and in reverse the amortisation of transfer fee had sightly increased due to new signings. La Viola had savings in other costs but counter-weighted by huge €11,747,668 write-down for departed players, due to D'Agostino, Frey and Mutu, but the former would counter-weight by co-ownership financial income, which all made the operating cost remained high as worse as last year. Moreover, in 2010 the result was boosted by acquiring the asset from subsidiary (related to AC Fiorentina) and the re-valuation of its value in separate balance sheet. If deducting that income (€14,737,855), 2010 financial year was net loss 24,342,208 and 2011 result was worse with €8,131,876 only in separate balance sheet. In 2012, the club benefited from the sales of Matija Nastasić and Valon Behrami, followed by Stevan Jovetić and Adem Ljajić in 2013. In 2014, due to €28.4 million drop from the windfall profit of selling players, the club recorded their worst financial results since re-foundation, despite the fact the club maintained the same level of windfall profit, the result was still worse than in 2013. Moreover, Fiorentina also revealed that the club had a relevant football net income of minus €19.5 million in the first assessment period of UEFA Financial Fair Play Regulations in the 2013–14 season (in May 2014). (aggregate of 2012 and 2013 results), which within the limit of minus €45 million, as well as minus €25.5 million in assessment period 2014–15 (aggregate of 2012, 2013 and 2014 results). However, as the limit was reduced to minus €30 million in assessment period 2015–16, 2016–17 and 2017–18 season, the club had to achieve a relevant net income of positive €5.6 million in 2015 financial year. La Viola sold Juan Cuadrado to Chelsea in January 2015 for €30 million fee, to make the club eligible to 2016–17 edition of UEFA competitions. ^ a b "Organigramma" (in Italian). ACF Fiorentina Fiorentina. Archived from the original on 26 July 2008. Retrieved 29 November 2009. ^ a b "Fiorentina" (in Italian). Lega Calcio. Archived from the original on 25 February 2009. Retrieved 18 February 2009. ^ a b Martin, Simon. Football and Fascism: The National Game Under Mussolini. Berg Publishers. ISBN 1-85973-705-6. ^ "Prediksi Skor Serie A, Fiorentina Vs Genoa 29 Januari 2017". Viralbola.com. ^ "Archivio Corriere della Sera". ^ "Serie B a 24 squadre. C'è anche la Fiorentina" (in Italian). La Repubblica. 20 August 2003. Archived from the original on 1 May 2008. Retrieved 4 April 2008. ^ "Italian trio relegated to Serie B". BBC News. 14 July 2006. Retrieved 1 January 2010. ^ "Lippi Tips Fiorentina For Surprise Scudetto Challenge". Goal.com. 11 November 2007. ^ "Fiorentina senza presidente Della Valle si è dimesso" (in Italian). La Gazzetta dello Sport. 24 September 2009. ^ "Mihajlovic sacked as Fiorentina coach". CNN. 7 November 2011. ^ "Fiorentina boss Delio Rossi sacked for attacking player". BBC Sport. 3 May 2012. ^ "Official: Fiorentina sack Montella – Football Italia". ^ "Stefano Pioli: Fiorentina hire former Inter Milan and Lazio boss". BBC Sport. 7 June 2017. Retrieved 6 March 2018. ^ McLaughlin, Elliot C. (4 March 2018). "Fiorentina captain Davide Astori dies of 'sudden illness' at 31, team says". CNN. Retrieved 6 March 2018. ^ Fiorentina, A. C. F. (6 March 2018). "Per onorarne la memoria e rendere indelebile il ricordo di Davide Astori, @CagliariCalcio e Fiorentina hanno deciso di ritirare congiuntamente la maglia con il numero 13. #DA13pic.twitter.com/KXP6s8WFlG". @acffiorentina (in Italian). Retrieved 6 March 2018. ^ "Squadra stagione 16/17" [First-team: Season 16/17]. it.violachannel.tv. ACF Fiorentina. Archived from the original on 12 December 2016. Retrieved 30 January 2017. ^ a b c d e f g h i j k l m n o p q "CALCIOMERCATO: TRASFERIMENTI IN ENTRATA E IN USCITA" [Market: Incoming and outgoing transfers] (in Italian). Fiorentina. 1 September 2018. ^ a b "Calciomercato: Ufficializzati LUCA MOSTI e MICHELE CEROFOLINI" [Market:Luca Mosti and Michele Cerofolini join] (in Italian). Bisceglie. 25 January 2019. ^ "CALCIO MERCATO: DALLA FIORENTINA ARRIVA MATTIA GARGANO" (in Italian). Ghivizzano Borgo a Mozzano. 11 July 2018. ^ a b "UFFICIALE: Fiorentina, ecco Rasmussen. Resta a Empoli, va anche Diks" (in Italian). Retrieved 31 January 2019. ^ "GILBERTO IN PRESTITO ALLA FLUMINENSE" [Gilberto loaned to Fluminense] (in Italian). Fiorentina. 29 December 2017. ^ "Torino, in arrivo Siniega dalla Fiorentina" (in Italian). Mondo Primavera. 16 August 2018. ^ "Scandicci, dalla Fiorentina arriva Bigica" (in Italian). Scandicci. 31 August 2018. ^ "UFFICIALE: Fiorentina, colpo Traoré. Arriverà dall'Empoli a giugno" (in Italian). Retrieved 15 January 2019. ^ "GORI NUOVO ACQUISTO DEL LIVORNO" [Gori is a new acquisition for Livorno] (in Italian). Livorno. 31 January 2019. ^ "Asd Valdarno Football club "si regala" Lapo Torricelli" (in Italian). Valdarno. 3 August 2018. ^ "UFFICIALE: Fiorentina, Sottil ceduto in prestito al Pescara fino a giugno" (in Italian). Retrieved 27 January 2019. ^ "UFFICIALE: Cagliari, dalla Fiorentina arriva Thereau" (in Italian). Retrieved 31 January 2019. ^ "Astori's number 13 shirt retired by Fiorentina and Cagliari following tragic passing". Goal.com. Retrieved 6 March 2018. ^ "geocities.com/violaequipe". Viola. Archived from the original on 27 October 2009. ^ a b c "ACF Fiorentina". Weltfussballarchiv.com. 24 June 2007. ^ "Stemma Comune di Firenze". Comuni-Italiani. 24 June 2007. ^ "First Club With 5 Player Kits – ACF Fiorentina 17–18 Home + 4 Away Kits Released". Footy Headlines. 5 July 2017. Retrieved 8 July 2017. ^ "UEFA rankings for club competitions". UEFA. ^ a b c d e f g A.C. Fiorentina S.p.A. bilancio (financial report and accounts) on 30 June 2001 (in Italian), PDF purchased from Italian C.C.I.A.A. ^ "Il Napoli sulle tracce di Gautieri L' albanese Myrtai va all' Alzano". La Gazzetta dello Sport (in Italian). 19 June 1999. Retrieved 21 January 2016. ^ a b ACF Fiorentina S.p.A. bilancio (financial report and accounts) on 31 December 2005 (in Italian), PDF purchased from Italian C.C.I.A.A. ^ a b c ACF Fiorentina S.p.A. bilancio (financial report and accounts) on 31 December 2006 (in Italian), PDF purchased from Italian C.C.I.A.A. ^ a b ACF Fiorentina S.p.A. bilancio (financial report and accounts) on 31 December 2007 (in Italian), PDF purchased from Italian C.C.I.A.A. ^ a b ACF Fiorentina S.p.A. bilancio (financial report and accounts) on 31 December 2008 (in Italian), PDF purchased from Italian C.C.I.A.A. ^ a b ACF Fiorentina S.p.A. bilancio (financial report and accounts) on 31 December 2009 (in Italian), PDF purchased from Italian C.C.I.A.A. ^ a b ACF Fiorentina S.p.A. bilancio (financial report and accounts) on 31 December 2010 (in Italian), PDF purchased from Italian C.C.I.A.A. ^ "Bilancio Fiorentina 2010: in perdita, nonostante la cessione del ramo commerciale" (in Italian). ju29ro.com. 6 September 2011. Retrieved 4 March 2012. ^ Marotta, Luca (7 June 2012). "Bilancio Fiorentina 2011: perdita da rendimento sportivo" (in Italian). Ju29ro.com. Retrieved 13 June 2012. ^ a b ACF Fiorentina S.p.A. bilancio (financial report and accounts) on 31 December 2011 (in Italian), PDF purchased from Italian C.C.I.A.A. ^ a b ACF Fiorentina S.p.A. bilancio (financial report and accounts) on 31 December 2012 (in Italian), PDF purchased from Italian C.C.I.A.A. ^ Marotta, Luca (16 July 2013). "Bilancio Fiorentina 2012: in utile grazie a Nastasic" (in Italian). Retrieved 19 January 2016. ^ Marotta, Luca (23 July 2014). "Bilancio Fiorentina 2013: secondo utile consecutivo con plusvalenze" (in Italian). Retrieved 19 January 2016. ^ a b c ACF Fiorentina S.p.A. bilancio (financial report and accounts) on 31 December 2014 (in Italian), PDF purchased from Italian C.C.I.A.A. ^ "Fiorentina joins club of teams forced to embrace austerity". il sole 24 ore. 17 September 2015. Retrieved 19 January 2016. ^ Marotta, Luca (18 July 2015). "Bilancio Fiorentina 2014: 37 milioni di perdita e l'obiettivo "imperativo" di Della Valle" (in Italian). Retrieved 19 January 2016. ^ "Financial fair play: all you need to know". UEFA. 30 June 2015. Retrieved 19 January 2016. Wikimedia Commons has media related to A.C.F. Fiorentina.